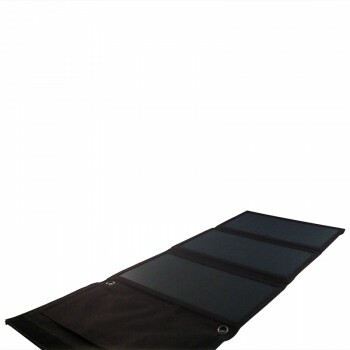 Charge your devices anywhere directly in sunlight while enjoying the great outdoors with this portable foldout solar panel. 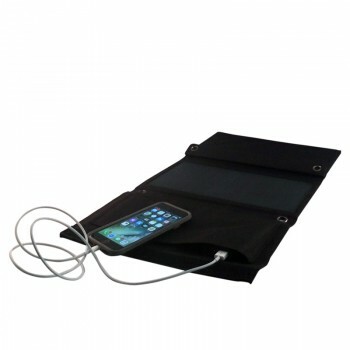 It includes 2 USB outlets for simultaneous charging. 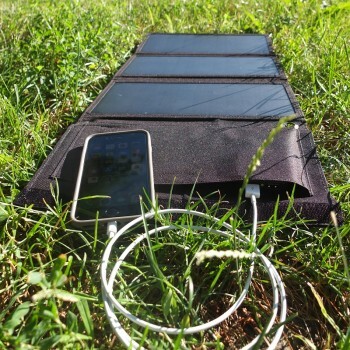 Tap into the sun's radiance and power your devices anywhere with the Solaaron Sunline 2.0. 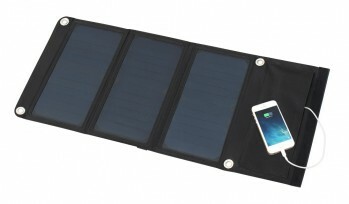 The Sunline 2.0 is a foldable portable and extremely durable 18 watt solar panel equipped with 2 USB outlets and a 3 Amp output. 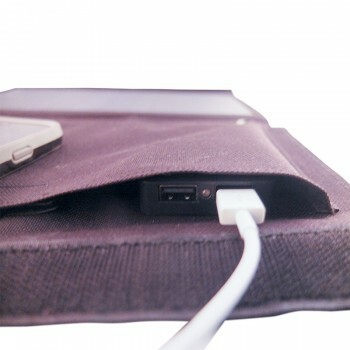 Charge up to 2 devices simultaneously with the 2 USB outlets. 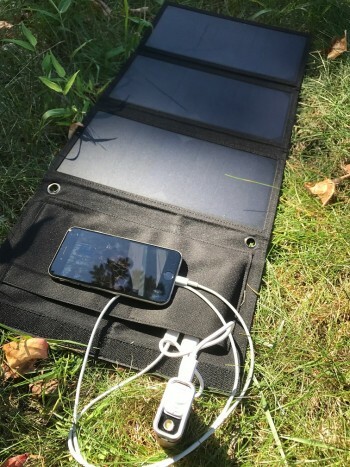 The Sunline 2.0 is practically designed with grommets which allow you to hang or mount your solar panel anywhere the sun shines. 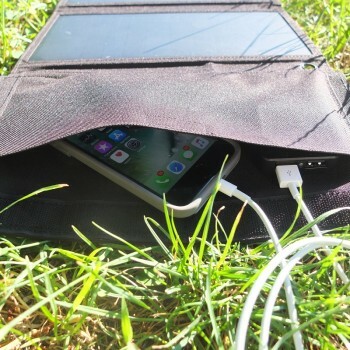 You can even attach it to your backpack and charge your devices while you're on the move outdoors!